surf all day. smoke fish all night. 2 NEW FLAVORS! 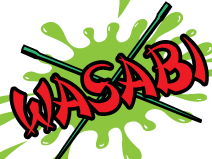 Wasabi & Sriracha! 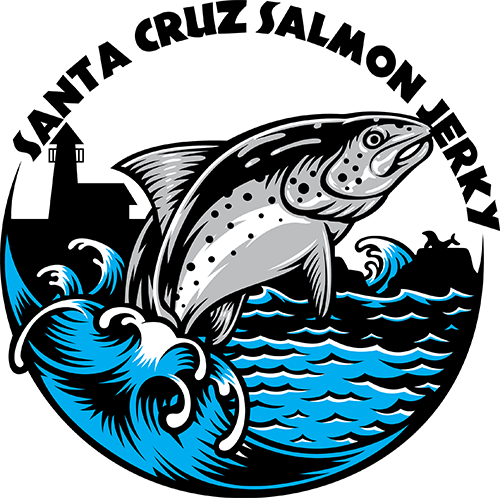 Santa Cruz Salmon Jerky taste so good you’ll feel naughty! This healthy hand crafted snack was created in the heart of Santa Cruz, California. Santa Cruz Salmon Jerky is a certified GLUTEN FREE smoked salmon snack. Not dehydrated but smoked! We use only the finest cuts of fresh Canadian King Salmon, delivered within 48 hours of catch. These fish are sustainable ocean raised direct from Creative Salmon. This company is proud to be the first certified Organic hatchery out of Canada. The sustainability makes for a Salmon available year round, and quality is shown in our fine cut fillets. The whole fish are then carefully filleted and then cut. The cuts are put into a two day brinning process, then loaded into a smoker for a day long smoke at hourly temperature intervals. This healthy DHA packed, Gluten free snack is weighed and hand packed into 3oz. , 6 oz. , or 1 lb. bags. Currently we offer 4 Flavors: Spicy, Teriyaki, Wasabi & Sriracha. This snack can be taken on the go for the avid sports or fitness guru, served with a frosty beer, or delicately plated at a dinner party and paired with a Pinot. Got a road trip planned or how about a long hike or ride? Then our 3oz Road Tripper bag is for you! Available in Spicy & Teriyaki..
We now sell our amazing Jerky in bulk!! Get yourself a full pound and savor the flavor! This One Has a Kick! Sriracha Flavor! 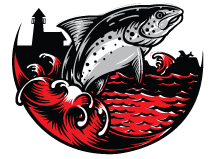 Buy Online or check out a location near you that sells Santa Cruz Salmon Jerky! BUY YOUR SC SALMON JERKY HERE! SC Salmon Jerky is filled with Omega 3's, The good fat you need and loads of protein! It can even be plated at a party and it promises to deliver! Come on... Share! Our First Line of T-Shirts Are Here! $16! Follow Us For Updates & Our New Flavors! HAVE YOU TRIED OUR NEW FLAVORS?! 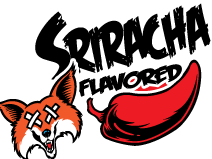 Santa Cruz Salmon Jerky Offers Sriracha & Wasabi Flavors!